Realistically detailed plastic animal playsets encourage learning about the natural world. 8 pc. 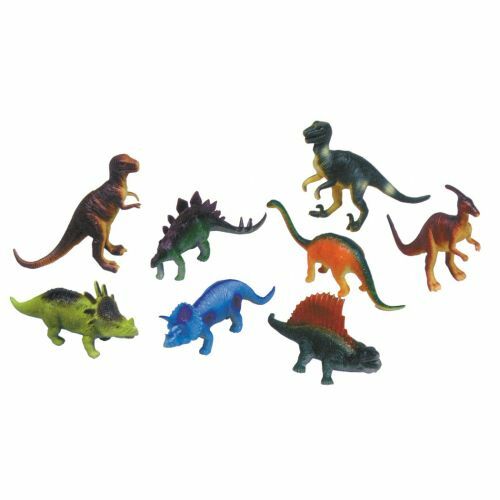 set includes t-rex, deinonychos, diplodocus, parasaurolophus, stegosaurus, triceratops, styracosaurus and dimetrodon. Measures approx. 6"-7" diagonally. Ages 18 months and up.